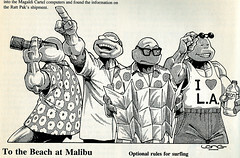 –>> .. one of many pieces of promotional material from back in the heyday of Palladium Books & TMNT RPGs. 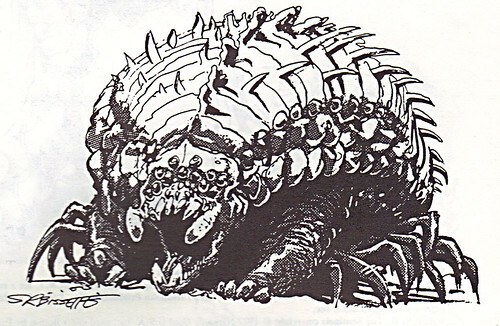 For load-time’s sake, highlights from this particular booklet are featured in this post ( since many of Tokka’s posts here are rather graphic dependent as it is ). 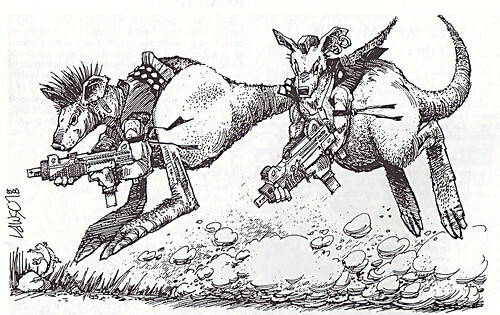 Chalk full of wonderful illustrations clear across the board & images from the now classic RPG books by Mirage Studios Alumni, legends and friends like Jim Lawson, S.R. 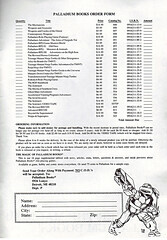 Bissette, Kevin Long, Palladium founder Kevin Siembieda, and of coarse Eastman & Laird. 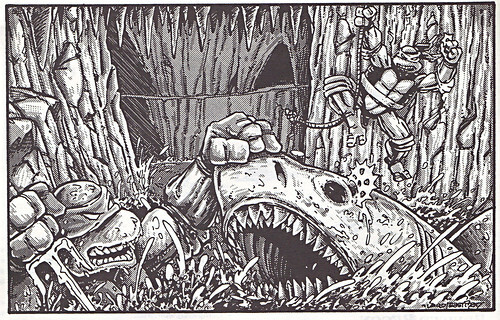 Of interest are illustrations from the books do include obvious Mirage staples like Lawson and Steve Bissette; but one contributor to the well established Palladium Illustrative pantheon would be Kevin Long, who goes a tiny bit unsung in TMNT fandom circles. 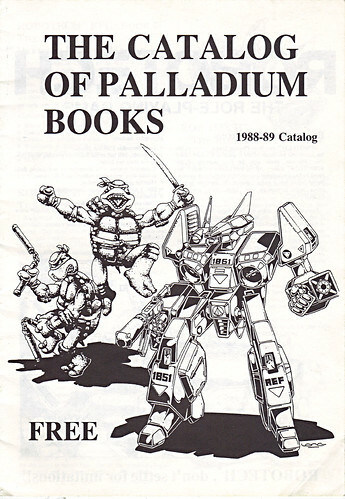 Kevin is long known as a very popular artist for Palladium in gaming communities on everything from Robotech to RIFTS for a near ten year run. 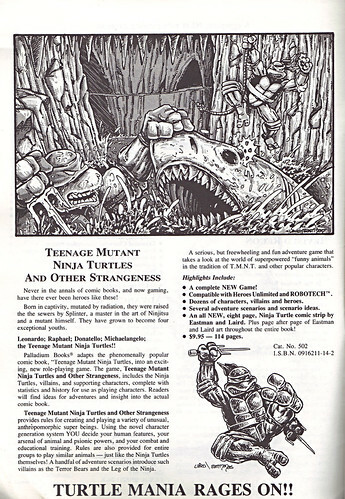 His explosive drawing & painting work on the TMNT related RPG books like Transdimensional Teenage Mutant Ninja Turtles, Truckin’ Turtles, & Turtles Go Hollywood are of exceptional comic-book quality and really holds up after all these years. 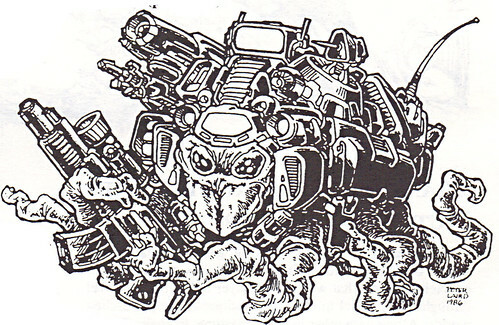 Long deserves a “truck-load” of praise for his exciting illustrations that added extra fun visual element to enjoyment to playing and/or reading the Turtles’ games !! 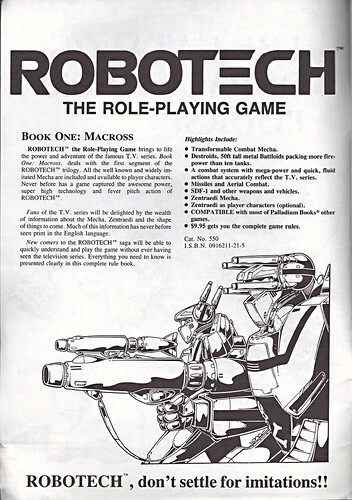 Most of Long’s cool Robotech/Macross work is featured in this catalog.